This project was done as a collaboration with the Museum and the Philharmonic. It is a children's concert series and this particular event was Tchaikovsky and the 1812 Overture. 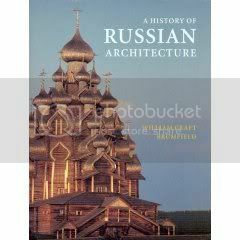 Well, I could not think of Tchaikovsky and his love for Russia without thinking of the beautiful architecture that surrounded him-especially the onion domes. 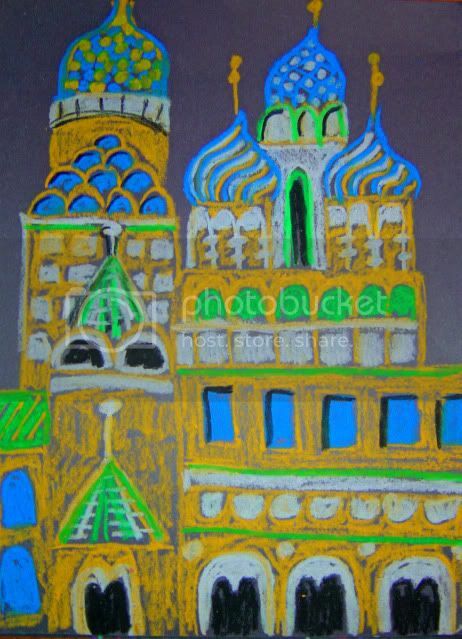 Have you tried those construction paper crayons? They are so vibrant and fun-especially on black paper. They almost look like oil pastels-without the mess. I am very lucky that the Museum's Senior Associate Curator of Education keeps a wonderfully stocked closet filled with all sorts of goodies to plan with and use. The project needed to be easy-to facilitate a broad age range and be ready for as many as 200 kids. 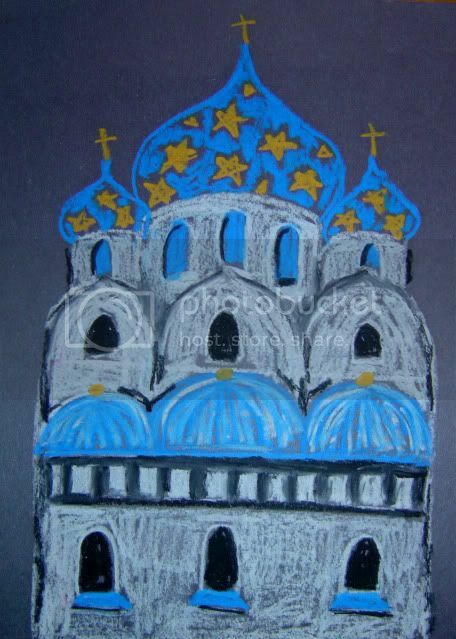 Showing the books, I told the children to focus on the shapes, as the entire building can be broken down into rectangles, triangles, semi-circles, and to top it off, the beautiful onion domes. The kids really had a good time with this, even the little ones. 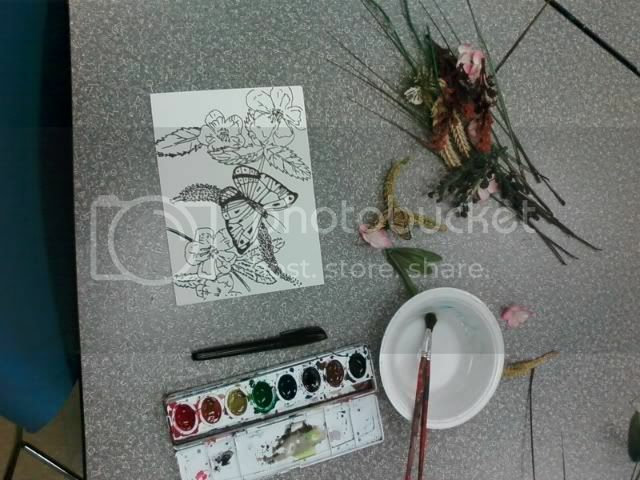 For a class later in the afternoon we created nature inspired pen and ink drawings with watercolors. I encouraged everyone to really draw what they see and not what they think they see. No pencils. No erasers. They did great! Several people commented on how relaxing they thought it was. Yesterday I had two great toddler classes at the Museum. We learned all about texture. 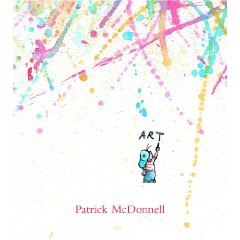 We started the class reading, Art by Patrick McDonnell. Then we talked about what we thought objects might feel like when we look at them. We then felt different textured objects to see of we were right-I brought sandpaper, a sponge, marble, cotton balls, beans, plastic, foil, etc. After that we looked at paintings and sculptures in the galleries. We used our eyes to find bumpy, smooth and all sorts of textures on our walk to the gallery, in the elevator and back to the class. Lot's of fun. 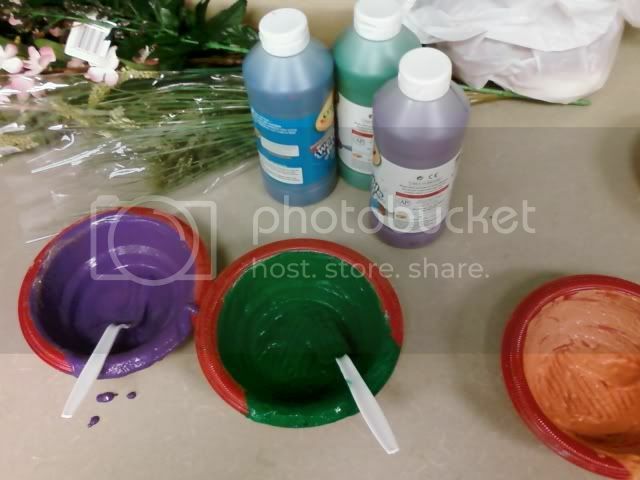 Mixing tempera paint and sand in bowls first. Then I set up their workspace. 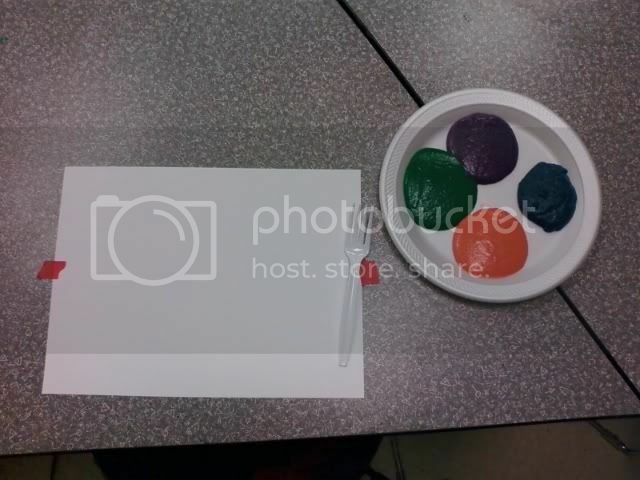 In the classroom we painted with a paint I thickened with sand. We used forks and toothbrushes as our special brushes for the day. 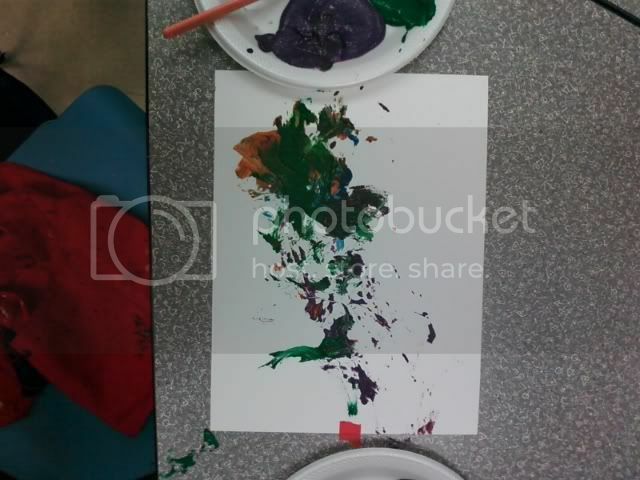 The kids created lots of lumps and bumps with our special paint. Some even used their hands, enjoying the strange dirt like feeling. I ended up using an acrylic paper to withstand the weight of the paint instead of the cardboard I had originally planned on. These are works by 15 month olds to 2 year old kids. Is anyone else enjoying the google page today? I wish it stayed like that everyday. 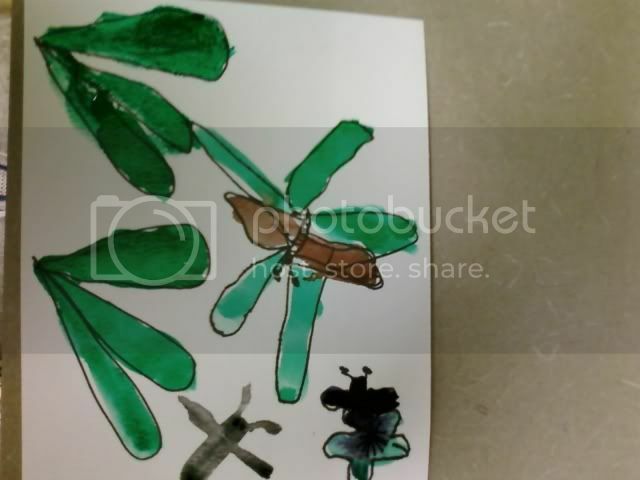 An homage to Eric Carle and his book, The Very Hungry Caterpillar. He is one of my very favorite children's book authors and illustrators. Cheers to Mr. Carle! This is my newest painting- it is NOT complete. 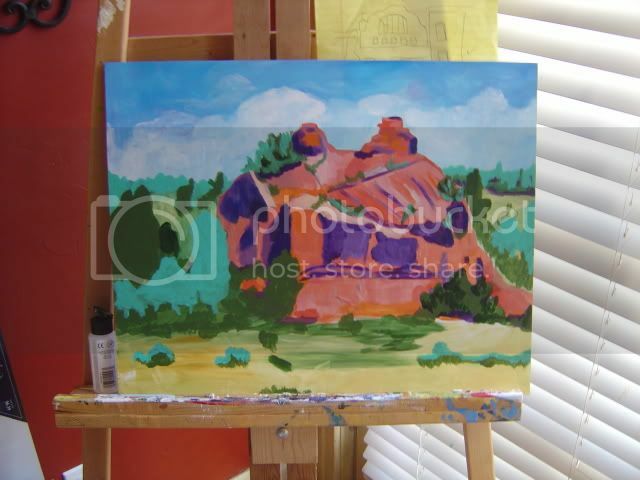 This is the underpainting, or the first layer. All it does is block in colors and today I will go in and begin to add details and lowlights. Tonight, since I am using acrylics I should be able to add highlights and final details. It's hard to show the beginning work like this, sort of like being naked. But, I want to document the process. It's the bare bones and hopefully it will come together and I should have a finished piece to show tomorrow. Then I'll get a frame and present it to my honey. It's for him, afterall! While I painted, so did my little man. 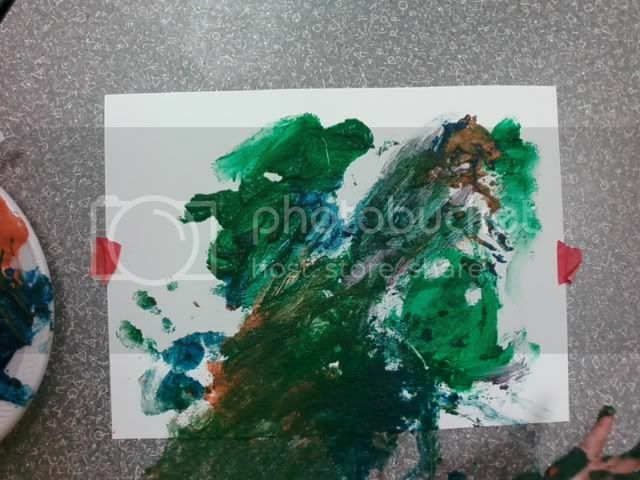 He covered paper with blue (Thomas), red (James) and brown (Toby). What's that you say? Well it's some of the Thomas the Train and Friends gang. "How do you come up with your ideas?" I get this question from parents, friends and even kids. I think A LOT. I think of ideas in the middle of the night, in the shower, in the car...and constantly re-think them. Sometimes I'll be inspired by something and try to think how I can do it. Sometimes I just get that "a-ha moment." Sometimes not all my ideas are "invented" by me, but I try to make them mine through how they are applied and taught. Like yesterday's project. 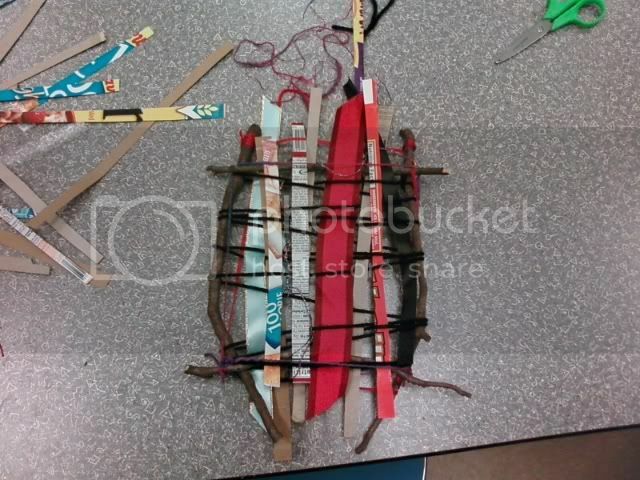 I am not the first one to use sticks for looms, but I tried to come up with an original idea how to expand the idea. Green Weaving was brought on by thinking about a class for St. Patrick's Day. Green. 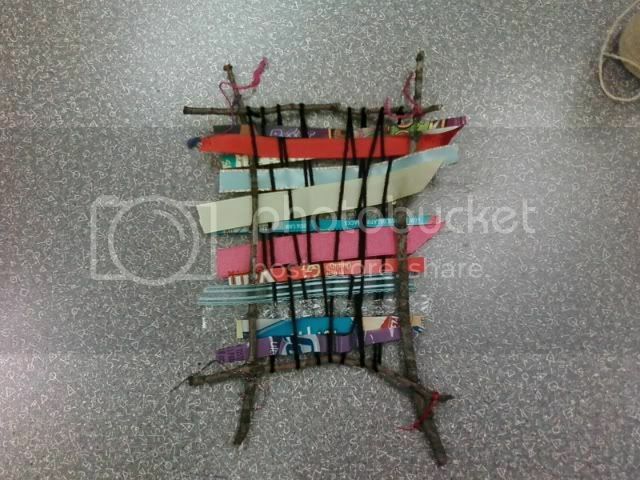 I had wanted to do a weaving project for a while and thinking green, I thought..."GREEN" as in RECYCLE! I do a lot of brainstorming in all of my processes. I began saving cardboard boxes from packaged food items, odd bit of ribbons and bows off valentine chocolates, bubble wrap, plastic from tissue boxes...you get the idea. Then, I cut those items into strips. 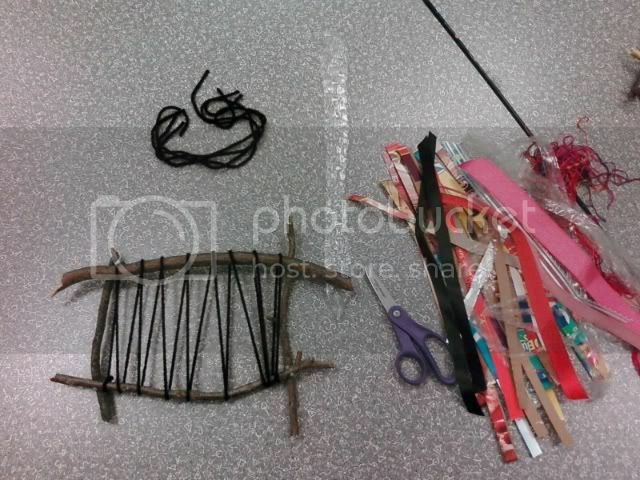 We used those things to weave through our loom. I made the looms from branches in our backyard. Our kitchen was full of branches! I broke them into pieces and hot glued them together. Then I wrapped yarn around to use as the weft. They turned out so COOL! I made 40 looms hoping that would be enough and it was-barely! Had quite a few kids and adults yesterday and they had a great time! A few parents even joined in the fun. Everything is always set up in advance. I ended up putting our more items, I wish I had taken another pic. Oh well. You get the idea. 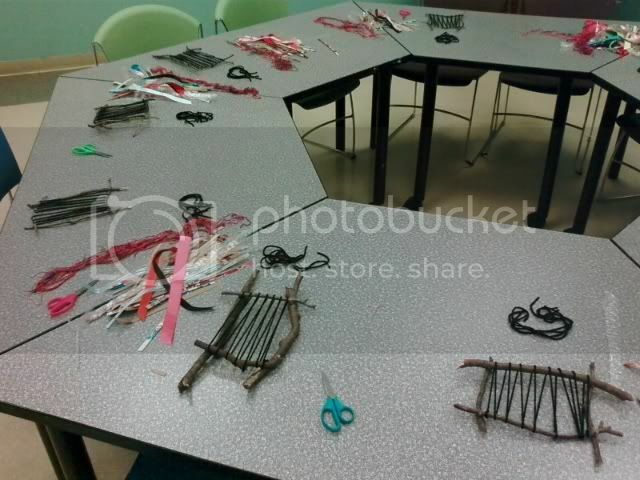 Students each had a loom, weavable items and scissors. I encouraged them to walk around and get other items if there was something from another pile they wanted to use. I took a few pictures of work alone with permission. These are from a 4 year old and a 6 year old. So much fun! I had a few looms leftover and am excited to weave with the boys this week! I have two boys. "Buster" is 5. "Bub" is 3. They both love to draw. Buster did this quick marker drawing for me the other day and I wanted to share it. I've watched his people really start to take shape in the past year. They become more detailed and more anatomically correct. Don't you love the fingers on the hands? 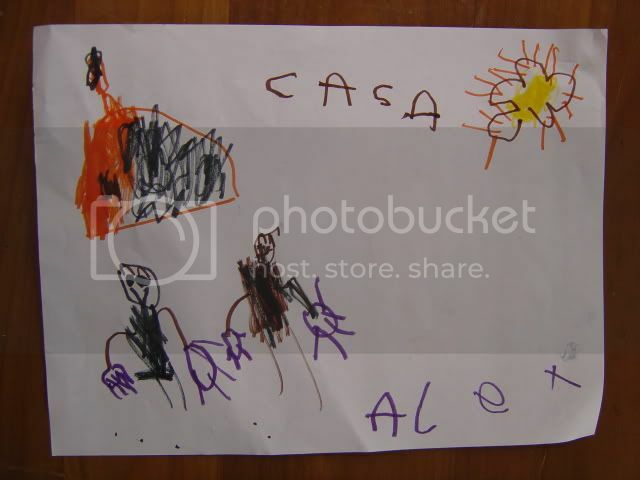 According to Buster this drawing is of him, me and our casa -which is actually on fire, but that's a long story. No house fire here. "I bet you didn't even know casa is spanish for house, right Mom?" Bought a new canvas and more paints last night. Will try to photo journal as I go along. I am off to the Museum as the artist for drop in art today. I finished my class example last night and they are turning out better than I even thought! Will post some pics later. Have a wonderful creative day! Here is a quick project we did Wednesday. 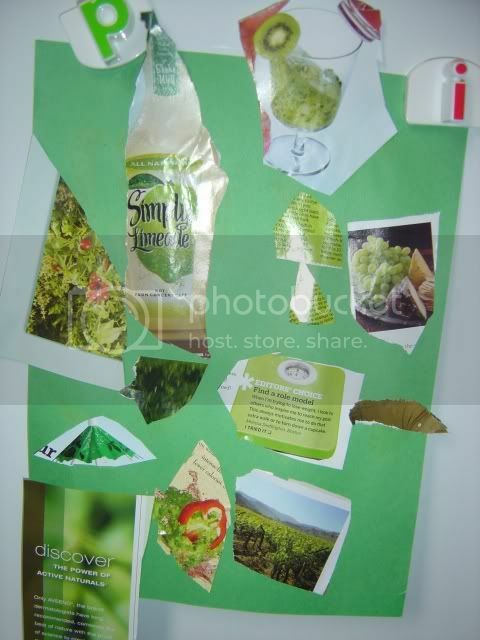 It's a green collage. I gave my 5 year old an old magazine and scissors. His favorite color is green, so I told him to find all the green things and cut them out. He did a great job! 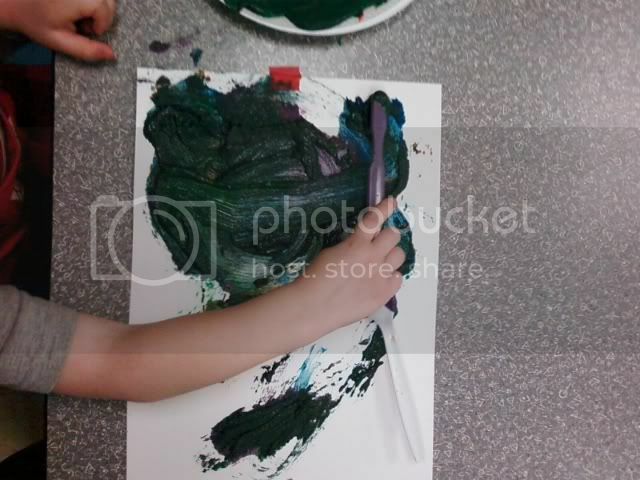 When he finished, he used a glue stick to paste them on green paper. This activity is great for motor skills and it gave me some time to get dinner ready! Welcome! I guess am a woman of many hats. I love to create, cook and entertain. I am a wife to an extremely supportive husband and Mom to two funny and sweet sons that are growing by leaps and bounds. I am an artist and now an instructor at The Oklahoma City Museum of Art. I feel that roads have led me there for a reason. I love children. I love art. Now I can share my passion with kids at one the most wonderful places in OKC. When I was a young girl I used to babysit- a lot. 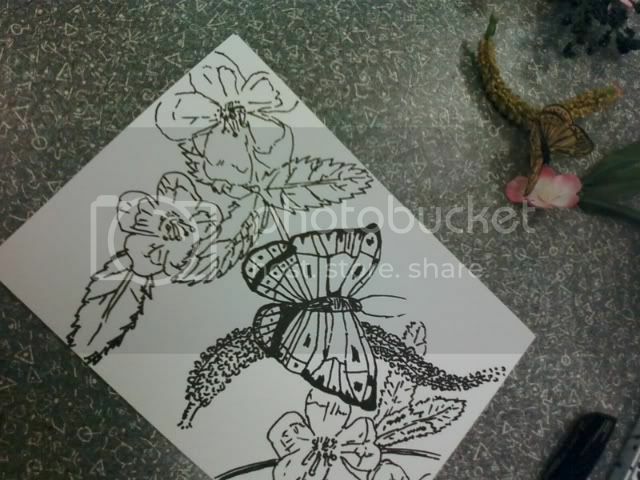 Even at the age of 13, I'd bring along an art box and I would make up projects to do with the kids. People used to tell me, "you'll have 7 kids and be a teacher! You are great with kids!" 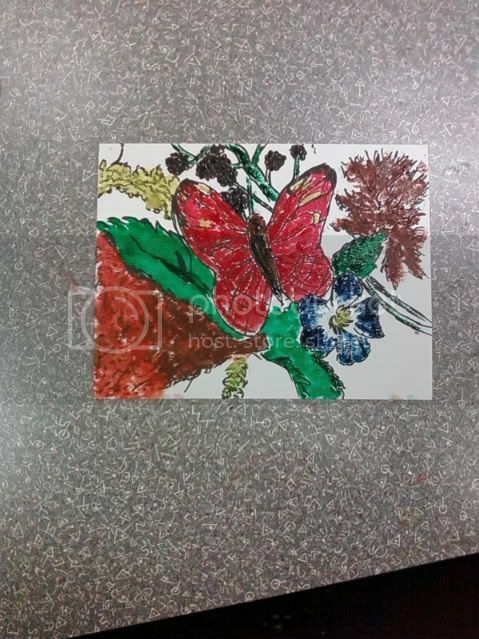 Well, I stopped at two kids, and my schooling is not in education, but art. My parents are both extremely creative people. My Father-an artist, art director, web guy. My Mother- a quilter, illustrator and pattern designer. Growing up, I vividly remember visiting the Albright-Knox among other museums and galleries. 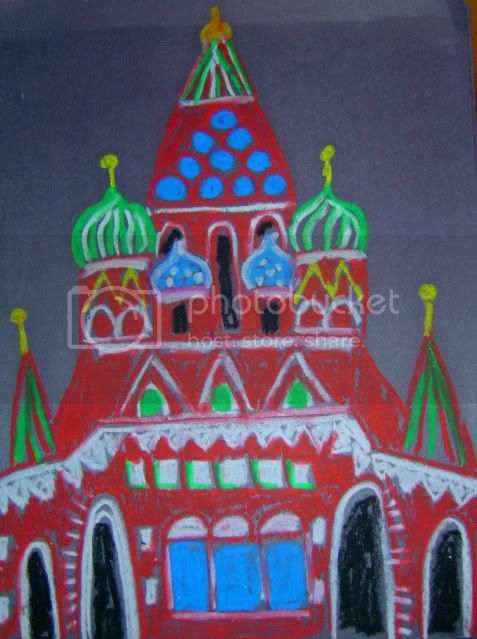 These places made an impression on me and instilled a beginning love of art. All through school I took art classes and remained creative in some aspect. Whether it was yearbook or art club. Arts have never been far from me. In college I soaked in a variety of coursework. 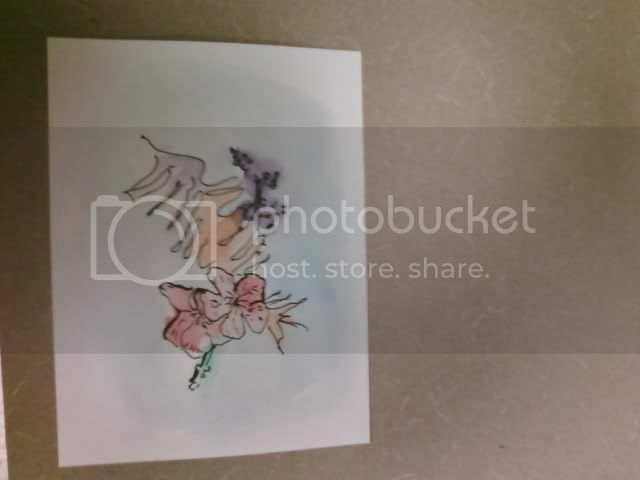 Painting, drawing, ceramics, printmaking, and graphic design. From there I began looking to paint again-always my first love. I became involved with the Oklahoma Visual Arts Coalition and began entering pieces for their annual fundraiser, 12x12 Art Show and Sale. Luckily my pieces have sold every year and I have met a few of my wonderful buyers. People began asking me, where is your studio? I began thinking, I need to paint more. I was in The smART Show in the Paseo in January. It was the first juried show I have entered in a while. It brought me more confidence and learning experience. Through a friend, roads brought me to the Museum where I teach toddler and Pre-K classes. I love showing children-along with parents new techniques and pieces in the Museum. I guess it reminds me of being a little girl myself-holding hands with my Daddy while looking at these massive paintings and hearing him be excited about the colors, lines and design. This being my first post here , I just wanted to share a bit of my background. Thanks for stopping by and please be patient with me while I get this place set up how I want it! :) Thanks! 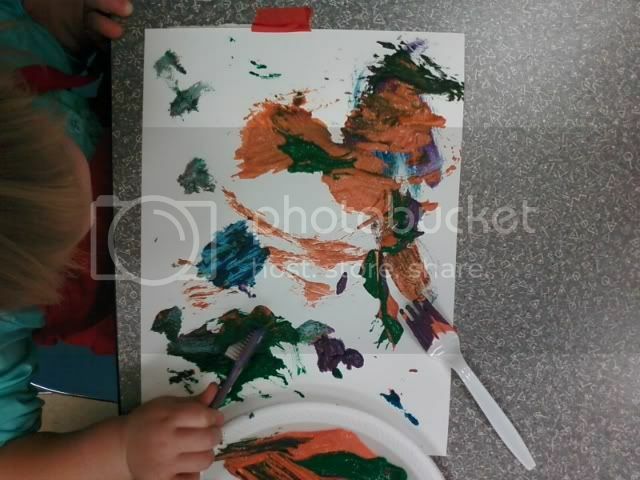 stay tuned for postings of laugh, paint, create!